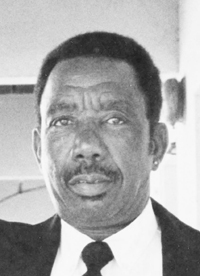 Augustus Funeral Home regrets to announce the passing of Mr. Arthur Clement ‘Food’ Daniels. A Home Going service for Mr. Arthur Clement ‘Food’ Daniels, son of the late Constant and Florence Daniels, loving father to Rudolph Simmons, Mitchell and Dennis Rahiim Watson, Danielle Daniels, Victoria Watson, Annette Daniels, Maria Goater and the late Gloria Smith, brother to Norman and Alvin Daniels, Cecilia Richardson, Jannat Ajamu, Gloria Daniels, the late Frederick and Reuben Daniels, Edith Swan, Frances Mayers, Hilda Robinson and Sylvia Daniels, in his 88th year formally of 55 Dundonald Street, Hamilton will be held at Christ Church Devonshire on Sunday, October 14, 2018 at 3:00 pm. Relatives and friends may pay their last respects at Augustus Funeral Home on Saturday, October 13, 2018 from 7:30 pm – 9:00 pm only. Lovingly remembered by 14 grandchildren and 5 great grandchildren; special friend: Sandra Simmons; other friends and family too numerous to mention.